Absolute Pilates is a fully equipped Pilates studio offering flexible class times to students in Ancaster, Hamilton, Dundas and the surrounding areas. Our STOTT PILATES® certified Pilates instructors run classes throughout the day, evening and on weekends so that it’s easy to fit into your busy schedule. Pilates is a form of strengthening exercises that focus on core stability, breathing and alignment. Pilates incorporates the latest techniques in both mental and physical conditioning. Our Ancaster Pilates studio offers matwork, reformer, barre, bosu and circuit training classes that teach you the principles of Pilates and continually challenge you. 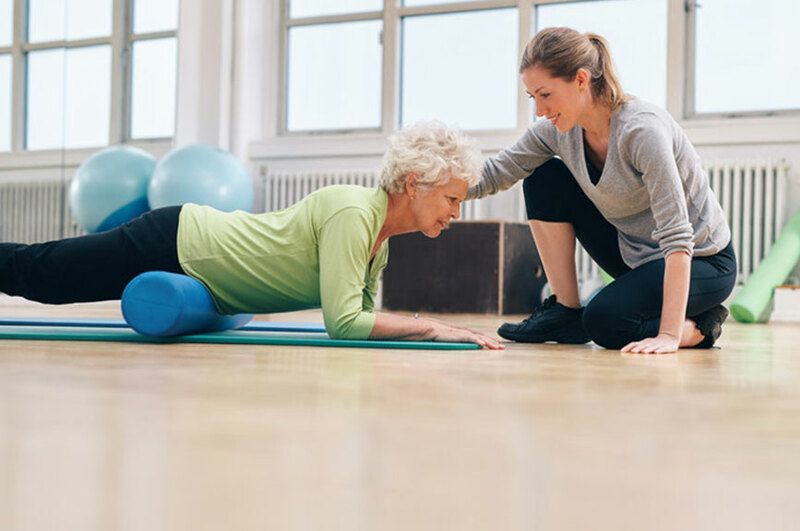 We work alongside Meadowlands Physiotherapy to help physiotherapy patients strengthen their bodies, improve posture, enhance athleticism, prevent future injuries and maintain health. Although you should always consult your physician before starting any fitness routine, a Pilates workout is gentle & controlled with no sudden jerking actions. An instructor will be able to modify the exercises to accommodate your limitations, continually challenge you within your range and monitor your improvements. STOTT PILATES® is an anatomically based approach to Joseph Pilates’ original exercise method. STOTT PILATES® incorporates modern exercise principles including contemporary thinking about spinal rehabilitation and performance enhancement. STOTT PILATES® are designed to restore the natural curves of the spine and re-balance muscles around the joints. The average active person, doing 2-3 classes per week usually sees results within 10-12 classes. Is it safe to do Pilates during pregnancy? Information on pregnancy and exercise can sometimes be confusing. During a normal healthy pregnancy, moderate exercise is safe for the fetus. Exercise can prevent varicose veins, hemorrhoids, low back pain and boost self esteem. Our stability chair facilitates many exercises in the upright position, which is recommended during the second trimester. Don’t wait any longer. Register now for one of our Pilates classes and start your journey to better health.